The construction of footpaths at some residential areas around Lautoka City have injected a feeling of safety and joy among ratepayers. While she was thankful to Government for the development, Lavenia Naborisi said it was about time her family and other members of the community felt safe and this has happened after the construction of a new footpath for the Vomo Street area in Waiyavi. “For the past eight years my family has been living here in Waiyavi,” the mother of two said. Ms Naborisi thanked Government and hardworking construction workers for the timely completion of the construction of the footpath. “This will also make life more convenient for members of the public and school children who will use the footpath on a daily basis. The timing is perfect because we are about to begin another school year,” she said. 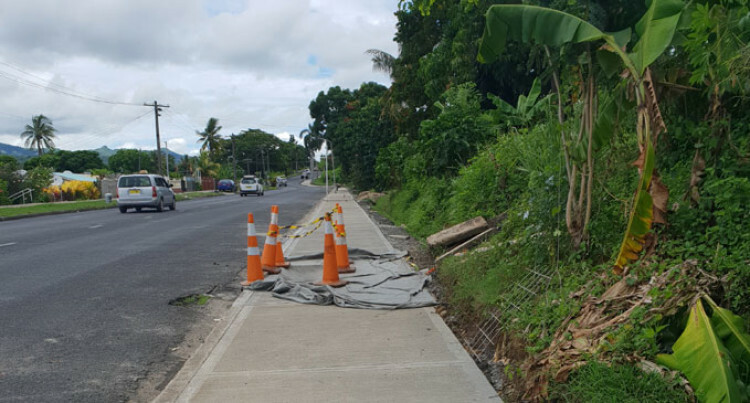 The Fiji Roads Authority (FRA) in confirming the construction of footpath in the Lautoka area mentioned that Vomo Street and M N Naidu Road were part of FRA’s footpath programme for the Western Division. The Vomo Street construction is aimed to be completed by February if the weather is favourable throughout. Included in the Lautoka City projects is part of the Natabua area, which will also undergo rehabilitation in the 2018/2019 financial year.